SEAFOOD tastes best when it is prepared fresh. Guests will be able to savour fresh glass prawn cooked right in front of them at Resorts World Genting’s Resort Hotel Seafood restaurant. 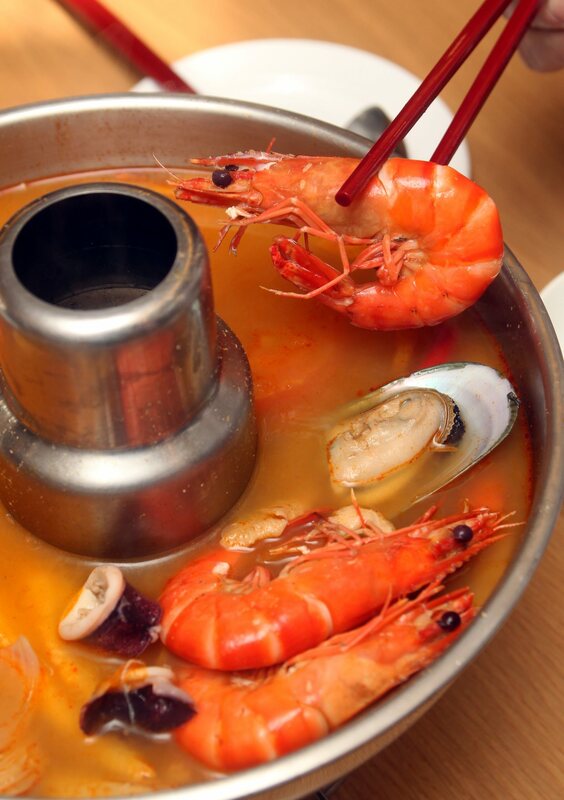 The signature Spicy Seafood Soup is another best seller at the Resorts World Genting’s Resort Hotel Seafood restaurant. The dish, Sauna Live Prawns, is cooked using pre-heated (300 degrees Celsius) stones. Live prawns are then placed over the stones stacked inside a cooking pan. A glass of hot Pu Erh tea is poured into the pan and covered with a see-through glass pan cover. Guests can watch as the prawns are cooked within a minute. Once the dish is ready, it releases a mild tea flavour. When the prawn is deshelled, the meat tastes juicy and fresh. Resort Hotel restaurant Chinese chef Lai Kok Yeow said the dish was a speciality here. “We only use live glass prawns for this dish to ensure its freshness,” said Lai. The Pu Erh tea is from Yunnan, China and has a greater aroma as it ages. “Guests have the option of having their prawns steamed in either the eight or 15-year-old Pu Erh tea. The tea aroma will coat the prawns and add flavour to the dish,” said Lai, who is a seafood expert and has 29 years of experience in the industry. The Jade Perch fish is steamed and sprinkled with cili padi. His signature Spicy Seafood Soup is another best-seller at the restaurant. The soup has a similar taste to tom yam. The hot and spicy soup can be enjoyed on its own or paired with white rice. The soup has generous portions of glass prawns, scallops, clams and squid. 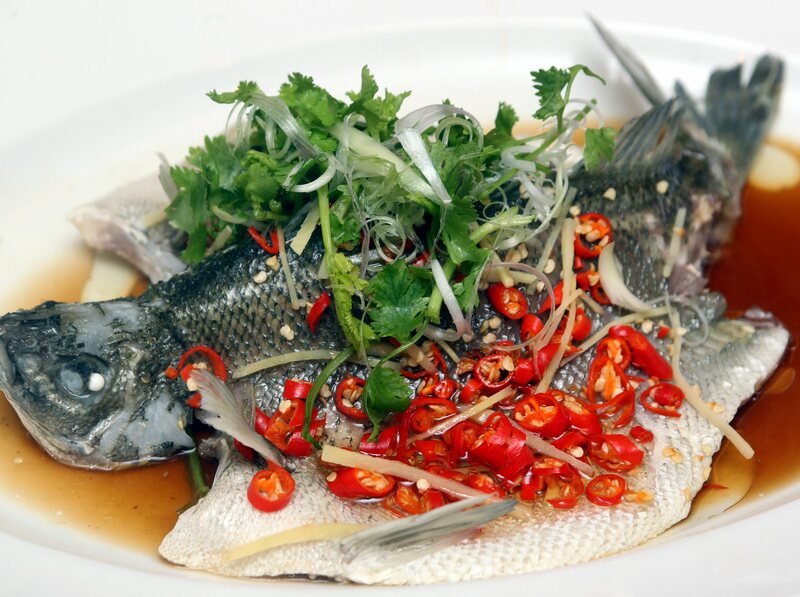 Lai said a customer favourite was the Steamed Jade Perch with Soy Sauce Hong Kong Style. “The challenge is to cook, serve and consume it fast,” he added. Another highlight is Seafood in Layer Pot (top pic). This simple dish tastes good because of the wide range of fresh seafood used. “All our main ingredients, especially the seafood is purchased daily. They are usually caught locally,” he said. 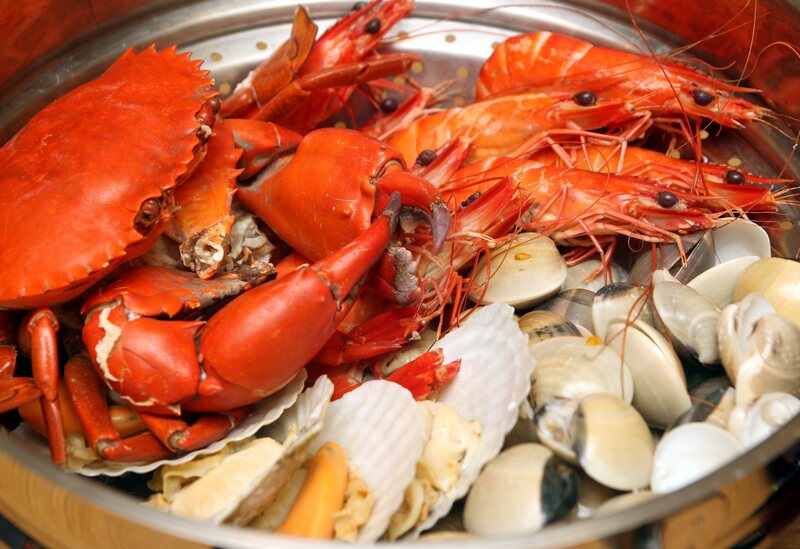 The seafood such as crabs, prawns and clams are steamed with Chinese wine and served with a pot of cabbage soup.